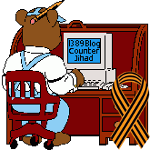 wildfire — 1389 Blog - Counterjihad! al-Qaeda ‘Inspire Magazine’ Gives Instructions for Starting Massive Forest Fires Across the US, As We Warned in 2007-8! Wildland Fires in Greece Blamed on Terrorism – Could it Happen in the US?